Saga Vanecek, an 8-year-old Swedish-American girl, pulled a 1,500-year-old sword from a lake in southern Sweden last July, prompting comparisons to Arthurian legends about the Sword in the Stone and the Lady of the Lake. You never know when wonders will appear. This little girl was not out helping archaeologists on a dig like the 13-year-old boy in this earlier post. She was just dawdling in a lake while her father was calling her to hurry so he could watch the World Cup on television. And then — a miracle. Jon Henley writes at the Guardian, “An eight-year-old girl has pulled a 1,500-year-old sword from a lake in southern Sweden. “Her father, Andrew, said in a Facebook post that the sword, estimated by experts from the nearby Jönköping county museum to date to the 5th or 6th century AD, before the Viking era, was still in the remains of its wood and leather scabbard. “He told VN he had been waiting impatiently for his daughter to come in from the water because the football World Cup final was about to start, but she was busy skimming stones. Then she stooped and held up the ancient weapon. “Neighbours confirmed to the Swedish-American family, who moved to Sweden from Minnesota last year, that the rusted artefact did indeed look old, and Nevecek called an archaeologist the next day. More at the Guardian, here. And you can read Saga Vanecek’s own report here. May 2019 be the year that girls everywhere pull miracles from lakes and stones. A beautiful day is always a good excuse to walk the grounds of the deCordova Museum in Lincoln, Mass., enjoying the sculptures and lake view. “For Julian, the visual arts served as a medium for self-improvement and enlightenment. In his later years, he opened the doors of his estate to share the wonders he had collected during seven decades of world travel. Julian envisioned a place where art would continue to educate and excite beyond his lifetime. 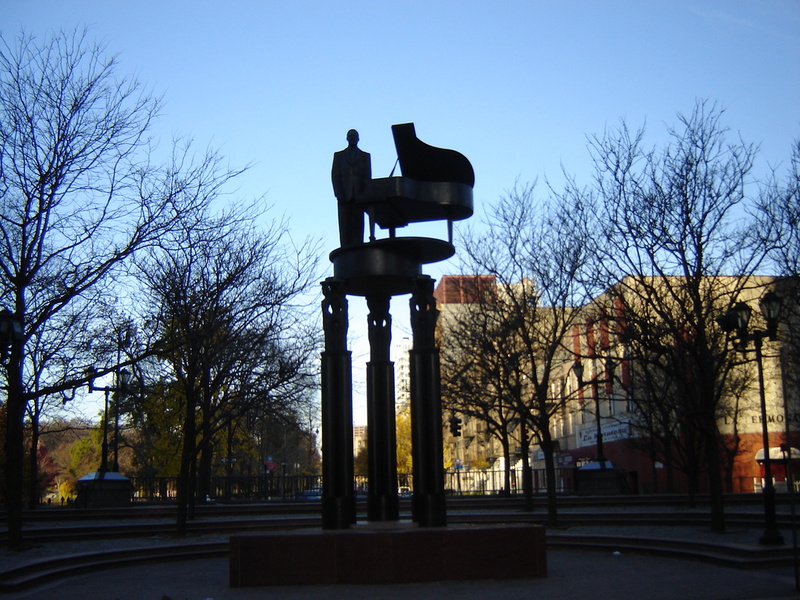 To meet that end, he gave his property to the town of Lincoln in 1930 with the stipulation that his estate would become a public museum of art following his death. It’s nice to have an institution that focuses on New England artists, especially one that also offers a beautiful park for families to enjoy. The yellow cables that seem to vibrate between the concrete blocks are a startling aspect of Stephanie Cardon’s sculpture Beacon. The collection of giant leaves, by Alan Sonfist, is called The Endangered Species of New England. The purple carpet is by Mother Nature and is called Violets. I’m thinking of a hymn I like and a line that seems to go with Thanksgiving, families, friends, and all the familiar faces that make up one’s context. 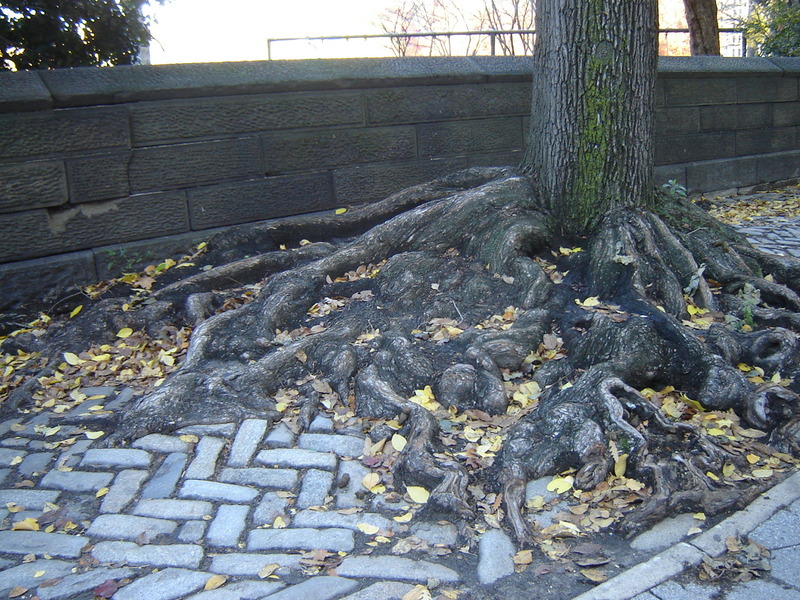 An early walk turned up these roots bordering Central Park. 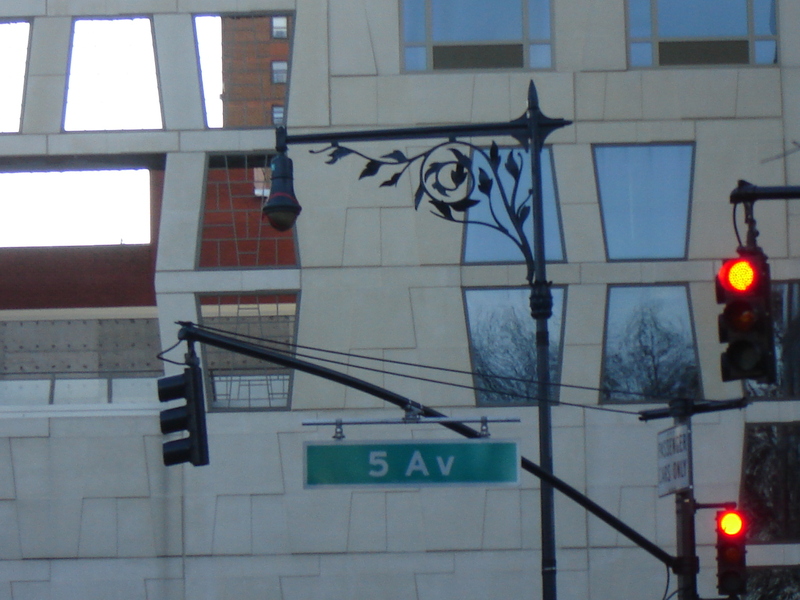 Also a fancy streetlight at Duke Ellington Circle. 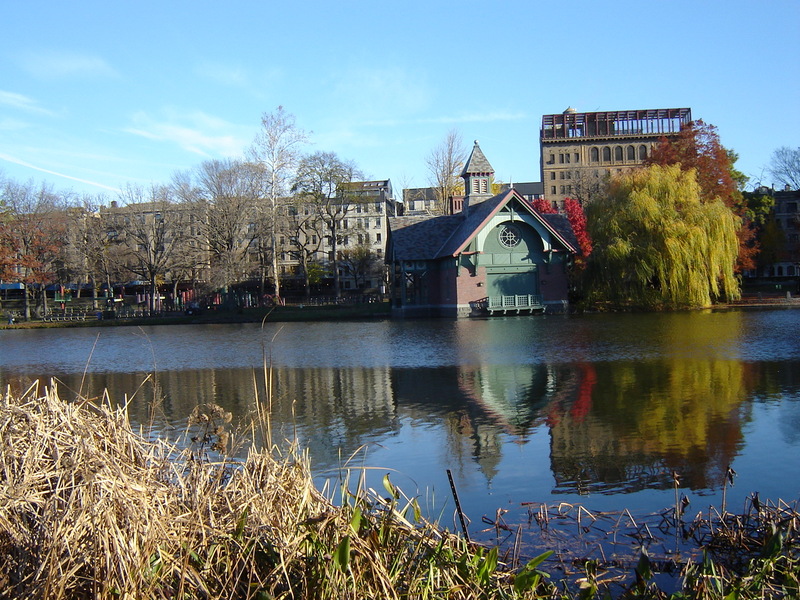 And the Dana Discovery Center on the lake called Harlem Meer. 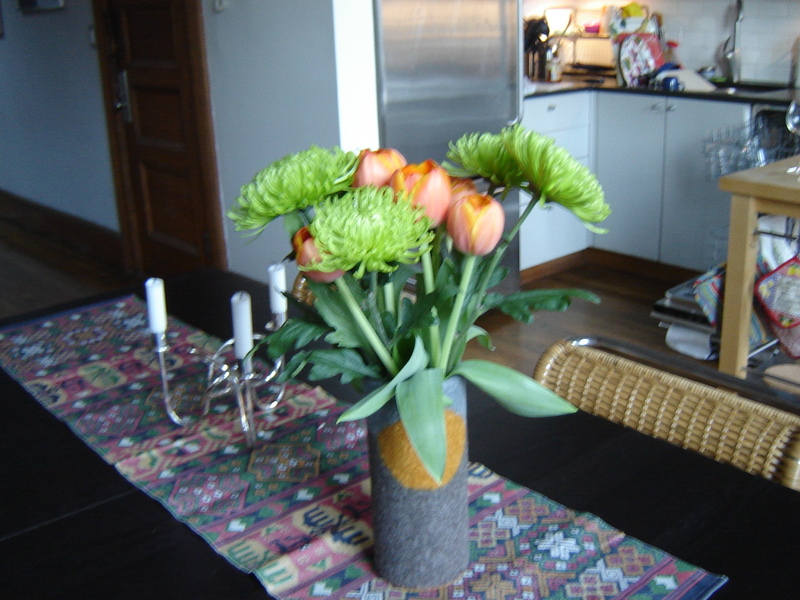 We bought flowers on the way back to Suzanne’s apartment, then got to work helping cook the feast. The cranberry sauce from my previous post was a big hit. Also the Swedish apple pies from Erik’s cousin.